Washington Post journalist and Riyadh critic Jamal Khashoggi was drugged, murdered and his body was cut into pieces, several news outlets reported on Tuesday citing several Turkish officials speaking on the condition of anonymity. As a Turkish investigator team and prosecutors conducted a nine-hour search in Saudi Arabia's consulate in Istanbul, reports surfaced that Turkish police found evidence that Khashoggi was killed in the building. Late Tuesday evening, citing an anonymous Turkish official, CNN said the dissident writer was murdered in the Saudi mission and his body was dismembered. Shortly after CNN's announcement, Al Jazeera Arabic, also citing an anonymous Turkish official, said Khashoggi was immediately attacked after entering the consulate and that no interrogation took place. According to Al Jazeera, Khashoggi was then drugged and taken to the Saudi Consul General's room where he was beaten to death in the presence of the consul general himself. Khashoggi was killed seven minutes after entering the consulate, Al Jazeera reported. 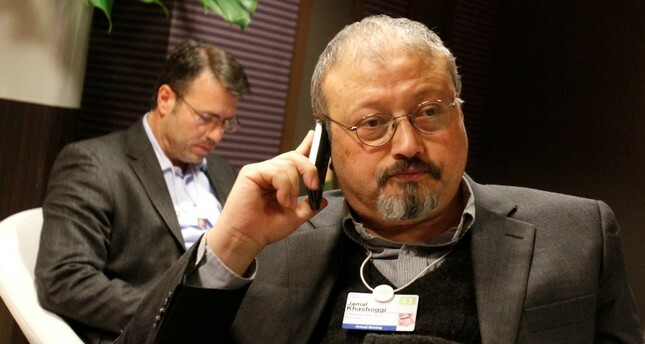 Dr. Salah Muhammed Al-Tubaigy, the head of Forensic Evidence at the Saudi General Security Department, asked the consul general to leave the room before proceeding to dismember Khashoggi's remains and the doctor told others in the room to listen to music while he did the gruesome act, Al Jazeera said. Al Jazeera said Turkish officials claimed recordings of the horrific acts existed. Following the reports, U.S. President Donald Trump said Saudi Arabia's crown prince denied knowledge of what happened to Khashoggi in a phone call. "Just spoke with the Crown Prince of Saudi Arabia who totally denied any knowledge of what took place in their Turkish Consulate," Trump said on Twitter, referring to Crown Prince Mohammed bin Salman. "He was with Secretary of State Mike Pompeo during the call, and told me that he has already started, and will rapidly expand, a full and complete investigation into this matter. Answers will be forthcoming shortly." Dissident journalist Khashoggi, has been missing since Oct. 2 after entering the Saudi consulate to gather documents for marriage. His fiancee and friends have said he did not leave the building. The Saudi journalist's Turkish colleagues and several Turkish officials have voiced concerns that he was murdered in the consulate. Saudi officials previously have denied any involvement in the incident, claiming the 58-year-old disappeared after he left the consulate, but reports in U.S. media on Tuesday suggested the kingdom may acknowledge the writer was killed there during a botched interrogation.